Analysts said the latest delay will further undermine confidence in the viability of Nabucco, which is already facing soaring costs well beyond the initial €7.9 billion, or $11 billion, estimate, while potential investors are holding back because of competing pipelines and the lack of signed supply contracts. Reinhard Mitschek, managing director of Nabucco Gas Pipeline International, said last weekend that “as soon as there are firm indications that gas supply commitments are in place,” gas should start flowing through the pipeline in 2017. That is three years later than originally planned. He did not name any potential suppliers. Russia currently provides 41 percent of Europe’s gas imports. For months, Nabucco and the European Commission, the executive arm of the E.U., has been negotiating to obtain gas from Azerbaijan’s big Shah Deniz II field. 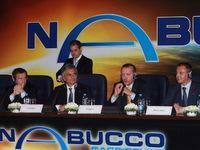 But the Azeri government has so far not decided if will sell gas to Nabucco or to some other pipeline operator. The delays mean that Nabucco’s costs could increase even further. An internal study by the British oil company BP estimated it may cost €14 billion to finish the 3,300-kilometer-long, or 2,050-mile-long, pipeline as commodity prices, especially steel, continue to rise. Once completed, Nabucco would carry 31 billion cubic meters, or 1.1 trillion cubic feet, of natural gas a year from the Middle East and the Caspian region to markets in Europe. The pipeline would be run through Bulgaria, Romania and Hungary, to a hub just outside Vienna. From there, the gas would be distributed to customers throughout the European Union. 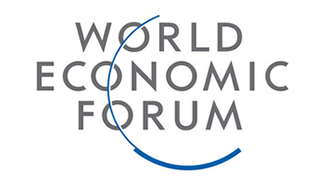 The consortium behind Nabucco consists of the energy companies RWE of Germany; OMV of Austria; MOL of Hungary; Botas of Turkey; Bulgaria Energy Holding of Bulgaria; and Transgaz of Romania. Nabucco’s delay may spur Russia to speed up contracts and partners to build the South Stream pipeline. Wintershall, the energy subsidiary of the chemicals giant BASF agreed in March to join Russia in that project, becoming the first German company to join a project that will compete directly with Nabucco. South Stream will be built and managed by Gazprom, Russia’s state-owned energy company. Once completed, it will provide southeast Europe with 63 billion cubic meters of natural gas a year.